Get ready for the hip-hop show of the year!! 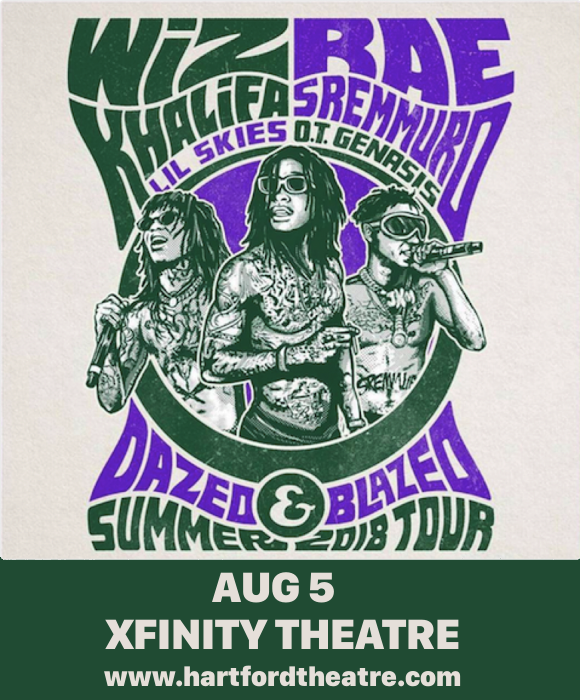 Wiz Khalifa and Rae Sremmurd are on their way to the Xfinity Theatre on Sunday 5th August 2018, with special support from Lil Skies and O.T Genasis!! It’s going to be epic – tickets are expected to sell out FAST so don’t delay!! Grab yours NOW while you can! Wiz Khalifa, known for his massive success for the single “Black And Yellow,” which charted at No.1 and was instantly remixed and covered by various artists, earning an association with various Pittsburgh sports teams. Recently, he’s been at the top of the charts once again, with “See You Again,” written for the soundtrack for the film Furious 7. His upcoming new album has been confirmed for release on June 13th. Be among the first to hear all the new sounds live – grab your tickets to see Wiz Khalifa and Rae Stremmuurd TODAY!